Join us for Hymn Sing by the Sea! Come join us for our annual “Hymn Sing by the Sea”! 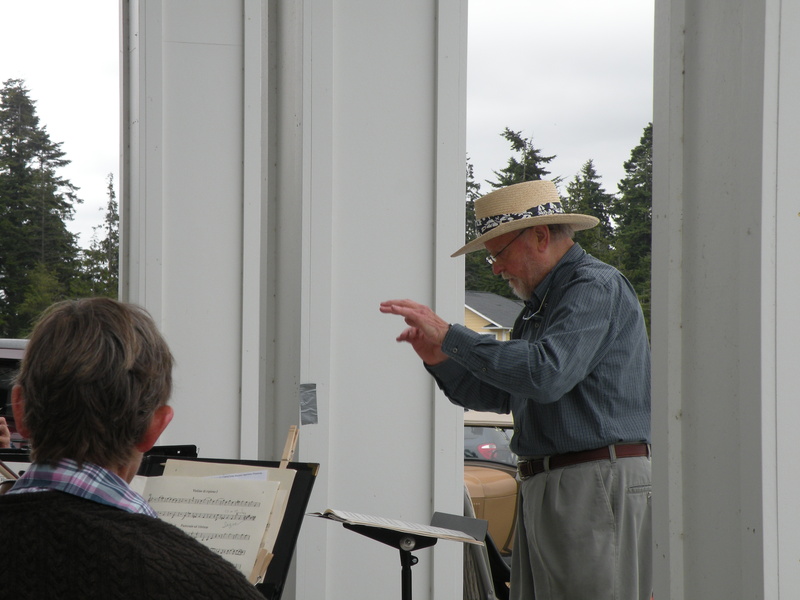 Baritone Jim Giger will be with us again. 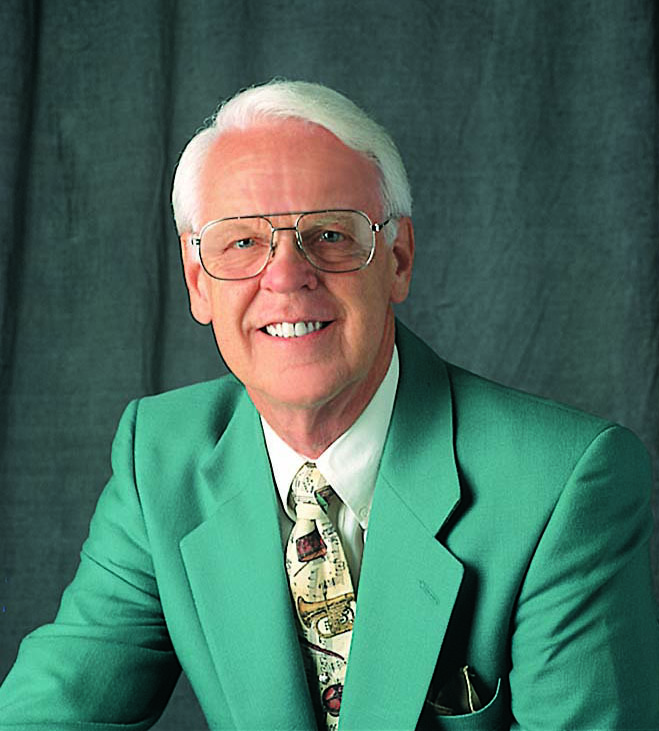 For more than a decade now Jim has sung the National Anthem and God Bless America for the Seattle Mariners at Safeco Field. 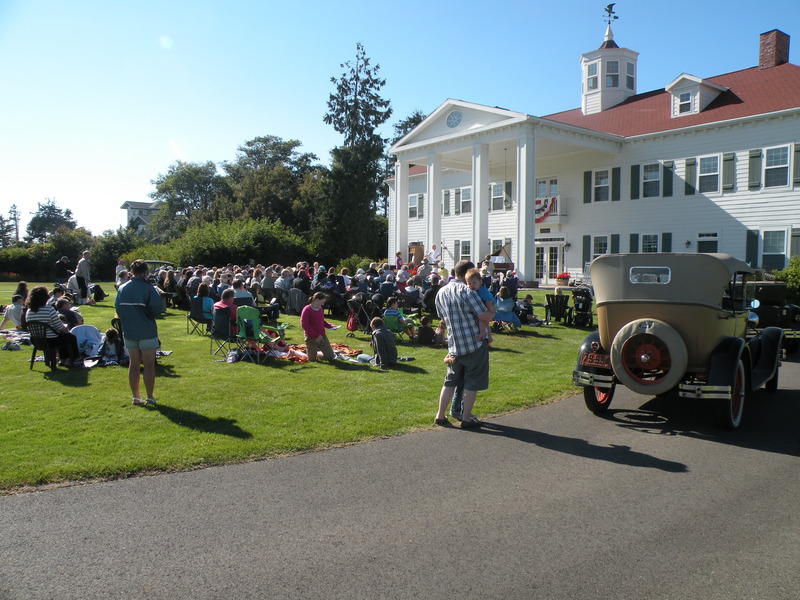 Our annual Hymn Sing is held on the last Saturday afternoon of July on the inn’s front lawn. Join us for a couple of hours as we sing together some of the old hymns of the faith accompanied by the inn’s organ and grand piano. There is no admission fee for this event. 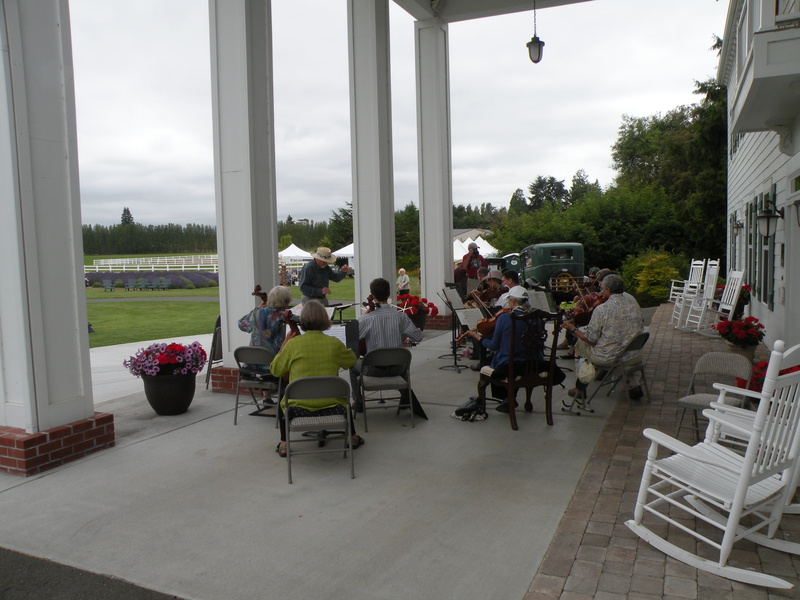 Bring a lawn chair or blanket and bring the whole family to enjoy an afternoon of beautiful music. The shipment of hymnals just arrived at the inn for the upcoming “Hymn Sing by the Sea”. Make plans to enjoy this summer event at George Washington Inn and Washington Lavender Farm at the peak of the summer season in the heart of America’s Provence. One of Seattle’s most talented and delightful baroque musicians, Henry Lebedinsky, will perform on the harpsichord. 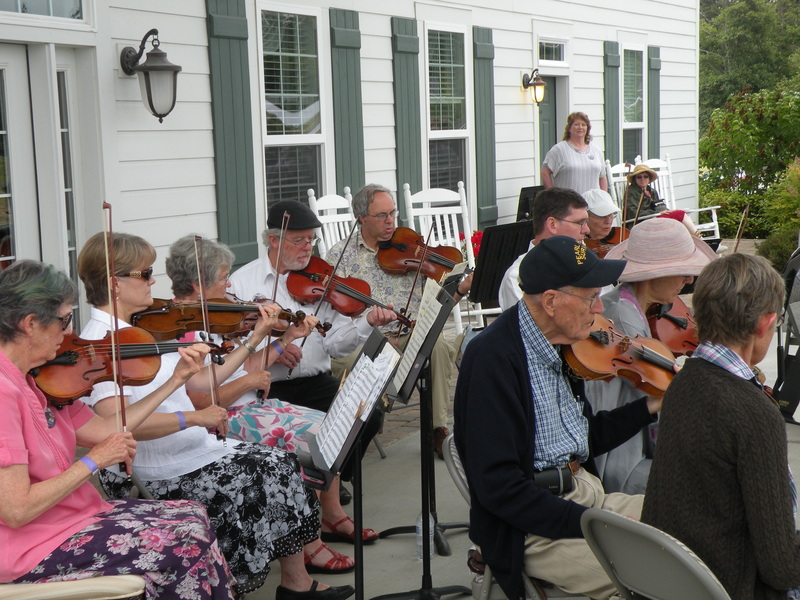 The Sunday afternoon concert will take place at 4 PM May 7, 2017 on the inn’s oceanfront piazza. Works by baroque and classical era composers include Élisabeth-Claude Jacquet de la Guerre, Georg Böhm, Elizabeth Turner , Wolfgang Amadeus Mozart and Dmitri Stepanovich Bortniansky. You can find the program here. The event is a benefit concert for the George Washington Society, a 501(c)(3) nonprofit that sponsors the Northwest Colonial Festival. Where trumpet, organ, harpsichord and piano joined with good food and great ambiance, Deux Voix was with us again on November 19, 2016 for their second event at George Washington Inn. In the fall of 2015, George Washington Inn hosted the Houston-based organ/trumpet duo called Deux Voix to perform for our guests at a dessert tea. It was such a great experience for our guests and the musicians that Deux Voix wanted to come back! 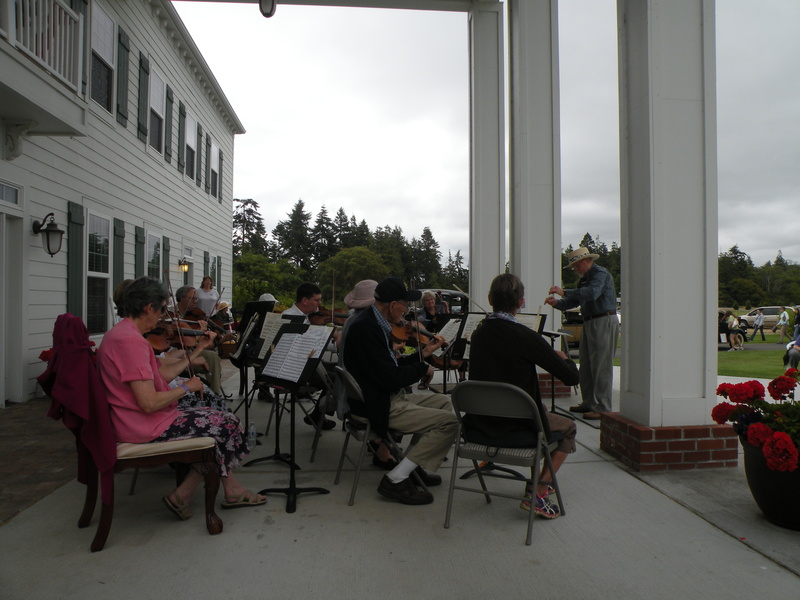 At George Washington Inn we love music! George Washington, in fact, was born in the Baroque era and was a contemporary of Johann Sebastian Bach. Music was an important part of life at Mount Vernon, the beloved home of George and Martha Washington. A beautiful harpsichord graced their home and often filled the mansion with its harmonious sound. This year’s event was hosted by the George Washington Society, an educational non-profit. 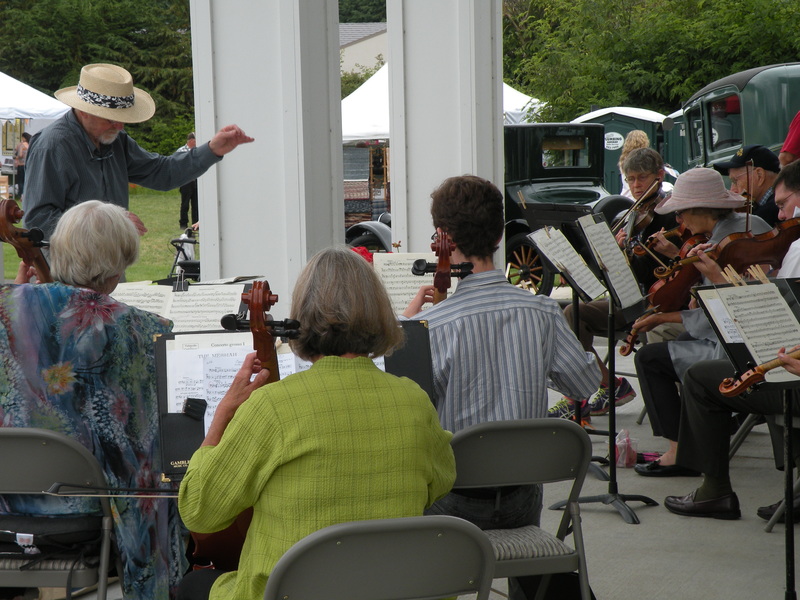 All proceeds from the event went towards producing the Northwest Colonial Festival. This was the debut for the recently acquired a double-manual harpsichord to provide more opportunities for our guests to enjoy beautiful music. 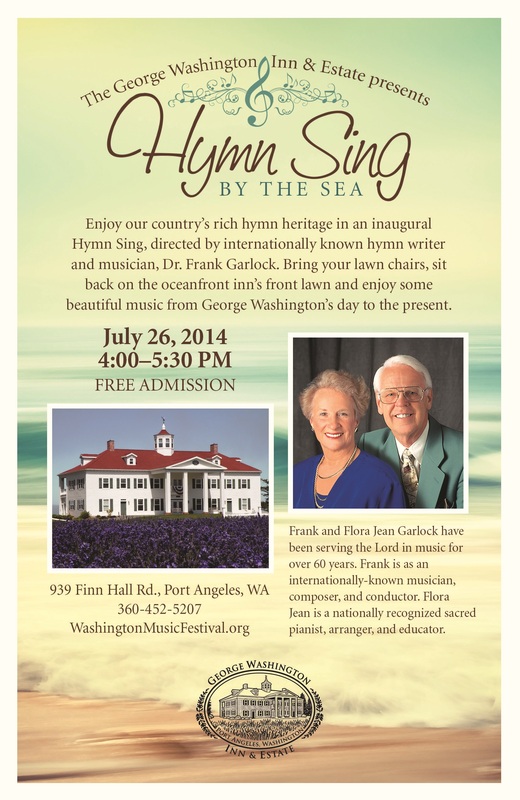 Come and sing with hymn lovers at the third annual “Hymn Sing by the Sea” to be held at 2 PM on Saturday, July 30, 2016 on the front lawn of George Washington Inn! This year Jim Giger (click on link for his bio.) will lead the song service with accompanists Marlys Prociw (piano) and Janet Abbott (organ). Here’s the songbook that you can print out and bring along: 2016 Hymn Sing By The Sea. Don’t forget your lawn chair, unless you just want to bring a blanket to spread out on the inn’s front lawn. Remember it will happen rain or shine. The inn’s oceanfront piazza makes a great alternative space if the weather doesn’t cooperate, but this year the weather’s looking perfect. Don’t miss out and there’s no admission fee! Join others who love to sing the old hymns for an unforgettable experience! 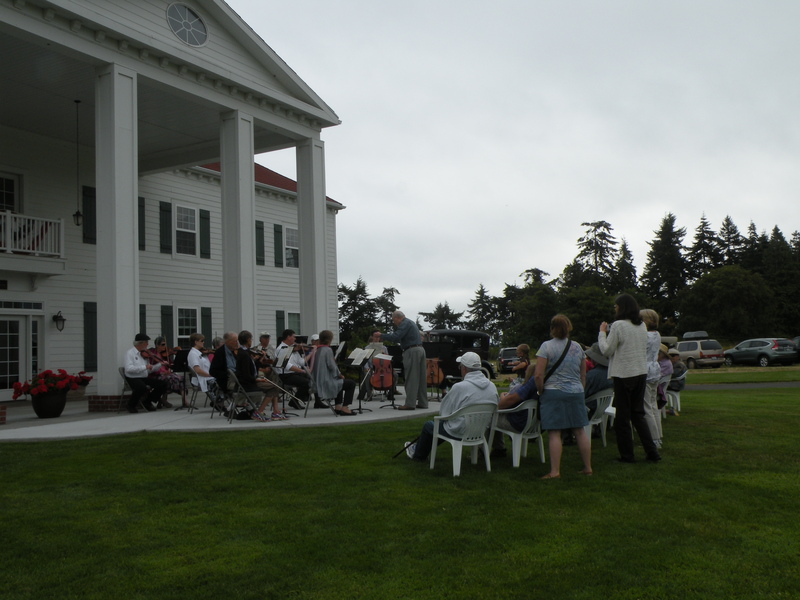 The annual “Hymn Sing by the Sea” at George Washington Inn and Estate will take place on July 30, 2016 at 2 PM. Further details to be announced. For the second year in a row, Dr. Frank Garlock and his wife, Flora Jean, are coming to the Pacific Northwest. 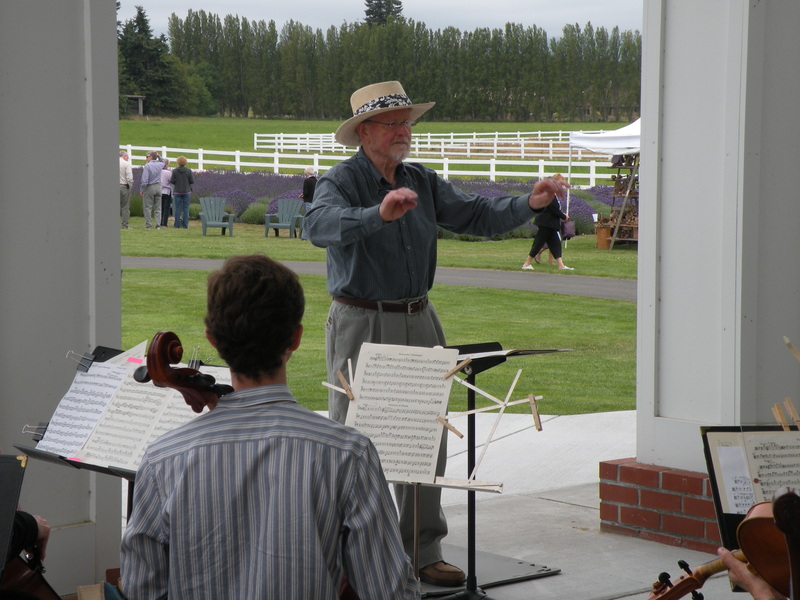 Internationally-known as an accomplished musician, composer, and conductor, Dr. Garlock is recognized in both the sacred and secular fields for music which is of the highest quality. His compositions have been performed around the world by professional choirs and instrumental groups. In 1997, Dr. Garlock produced Majesty Hymns, an inspiring hymnal with over 600 hymns. 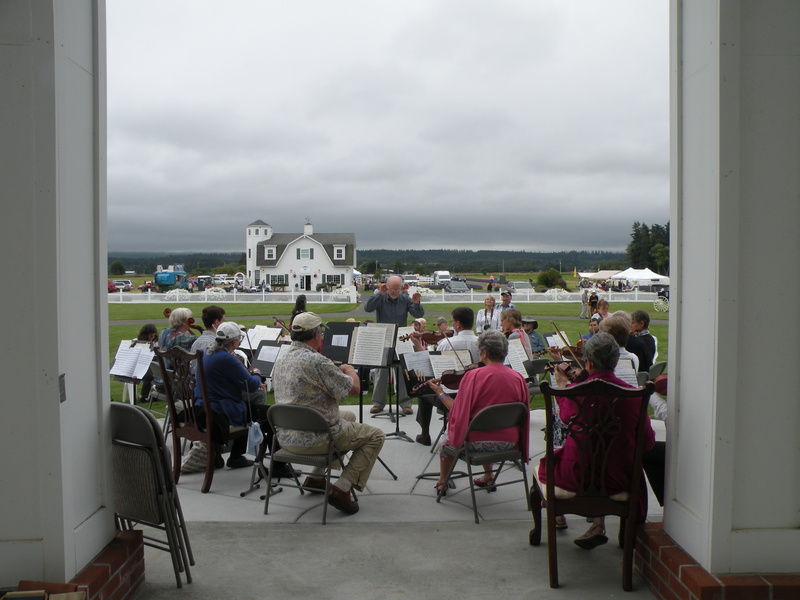 As owners of the George Washington Inn, an oceanfront B&B inn and lavender farm on the Olympic Peninsula, we have sought to find ways to promote good, wholesome music. We invite you to join us on Saturday afternoon, July 25, 2015 for the second annual Hymn Sing. The event begins at 2:00 pm and will end by around 4:00. 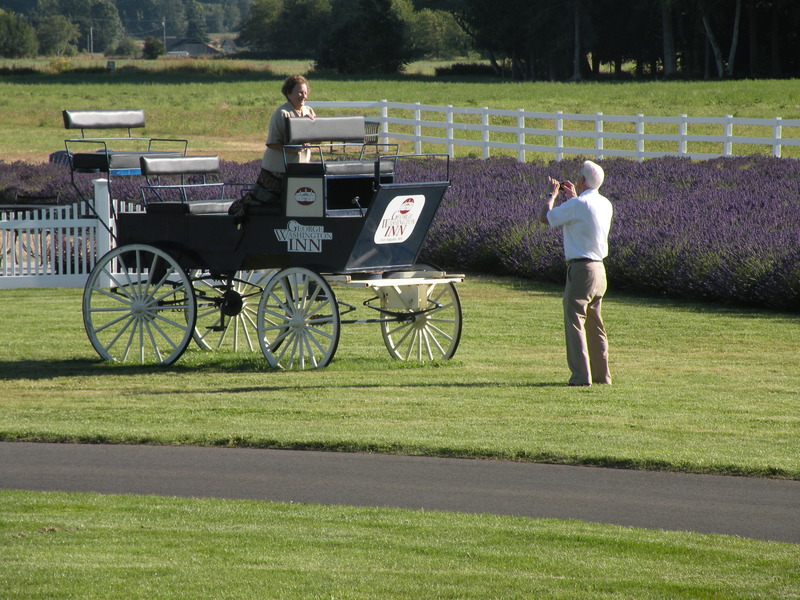 You are welcome to arrive early or stay late to enjoy the farm and lavender gift shop. Dr. Garlock will also have a supply of his CDs and books available for purchase. Dr. Garlock will share hymn histories and other encouraging thoughts as he leads this “Hymn Sing By The Sea,” and Flora Jean will accompany on the piano. Please join us as we raise our voices in praise to our Savior. Please share this event with your church members, friends and colleagues. 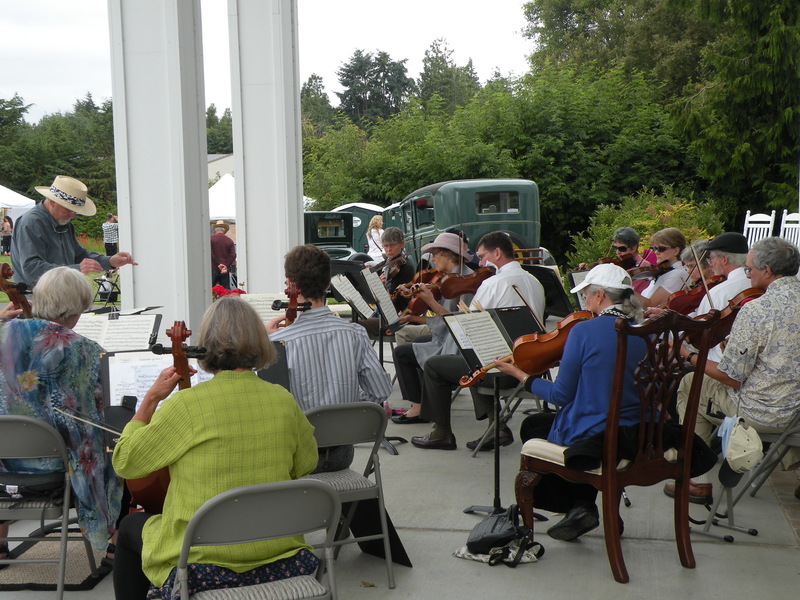 We hope you will bring them along with you to enjoy the day with us as we celebrate the majesty of God’s creation here along the Strait of Juan de Fuca and in the shadow of the Olympic Mountains. There is no admission charge or required registration for this event; however, it would be helpful to get an idea of how many will be coming. If you could send us an e-mail (info@georgewashingtoninn.com) with an approximate number of people who are coming from your church or ministry, it will help us to prepare for this exciting summer event. Please join us at 2:00 pm on Saturday, July 25, 2015, at George Washington Inn in Port Angeles, WA. If you have any questions, please feel free to call us at 360-452-5207. 2nd Annual Washington Music Festival has begun! 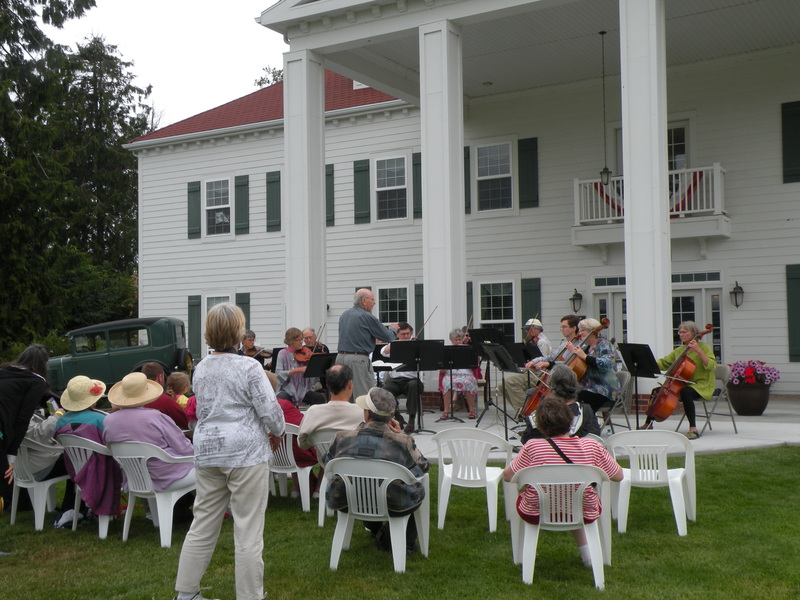 It was a great day for a Baroque concert on the front lawn of George Washington Inn! 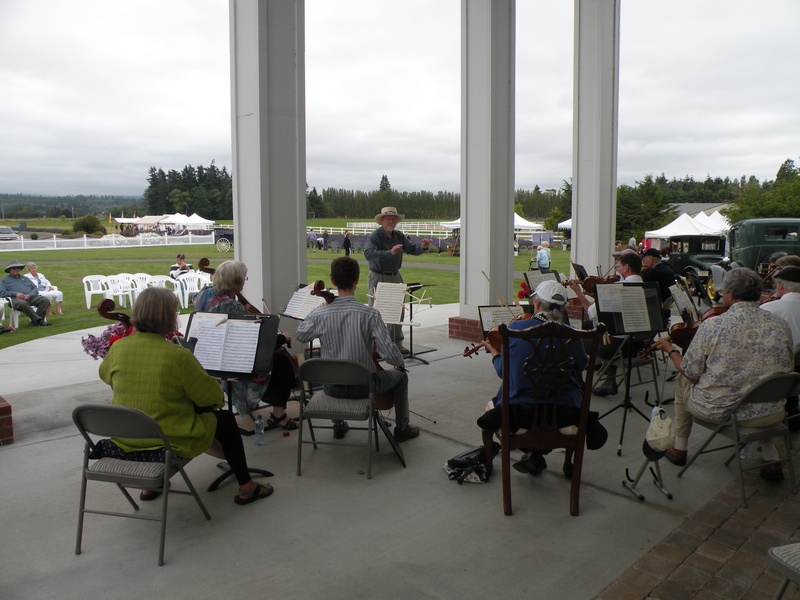 With so much happening on the farm, the music was heavenly as the orchestra’s beautiful sounds reached throughout the grounds. Bach, Handel and Corelli would have been proud. 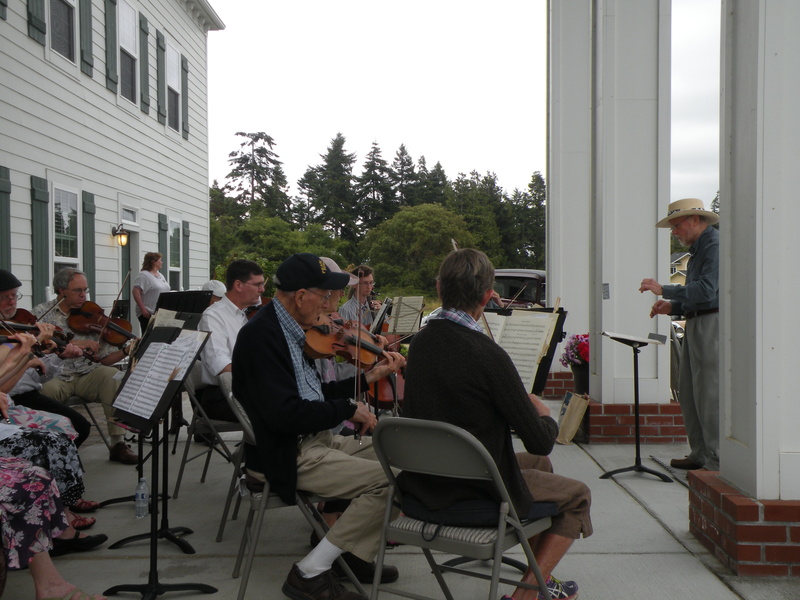 Maestro Dewey Ehling and many musicians from the Port Townsend Community Orchestra came out to make it all come together in perfect harmony! Enjoy America’s rich hymn heritage in an inaugural Hymn Sing, directed by internationally know hymn writer and musician, Dr. Frank Garlock. 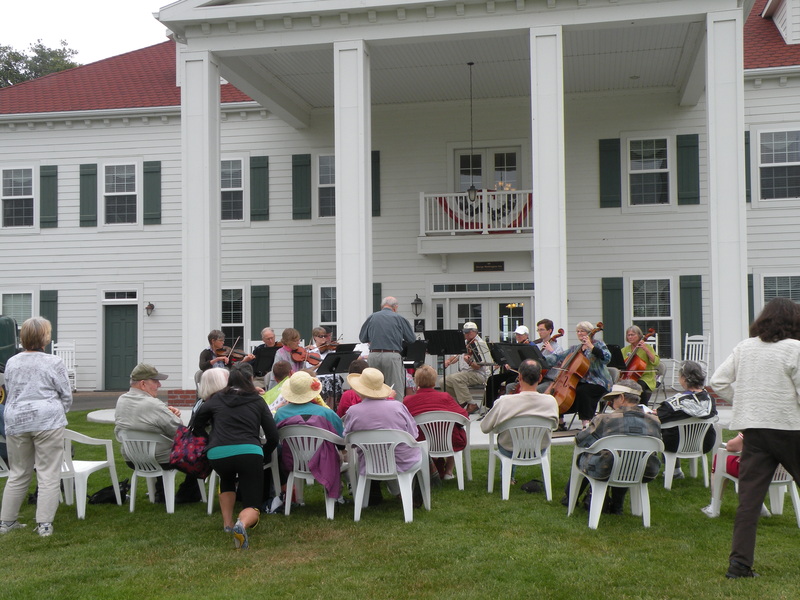 Bring along your lawn chairs, sit back on the oceanfront inn’s front lawn at the peak of the lavender season and enjoy some beautiful music from George Washington’s day to the present. 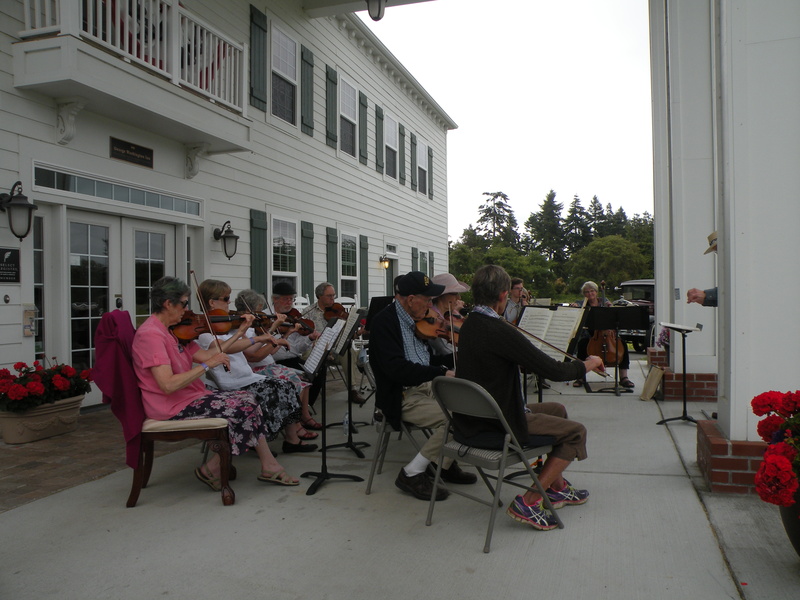 George Washington loved music, so it’s natural to expect to hear great music at his beloved home today. If you have an opportunity to be at Mount Vernon when one of their concerts is taking place, you will be able to imagine what it was like more than two centuries ago. Come hear a boys choir!